Today we are no more at threat from disease than at any time in recent history, but a few cases of measles - not a death in sight, not even an injury - can now be used to bring a once great nation to its knees. 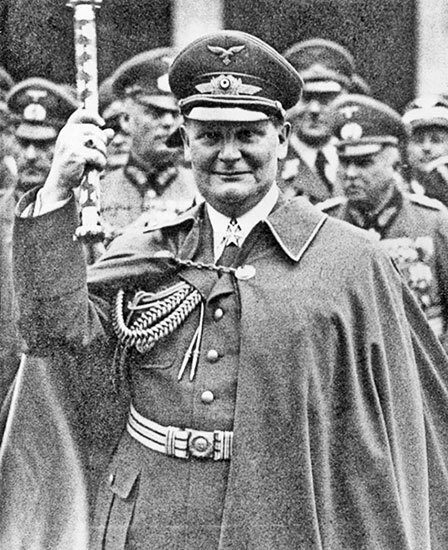 Like Goering's "pacifists" we know perfectly well that there is no threat, certainly no threat which should involve citizens in voluntarily surrendering ultimate rights over their bodies to the state, and no grounds for turning well-informed doubters into public enemies. they will say anything, do anything, to cover up what they have done to two generations of children (which is perhaps nothing compared to what they plan for the next), and they have no shame or dignity. After the war against what was supposed to be the most evil regime in human history the Nuremberg Code was instituted, which enshrined the idea that forced experimentation on humans was wrong, that informed consent was necessary for medical procedures. Now everything is twisted so that these pitiful, incompetent, corrupt bureaucrats are becoming absolute dictators, answerable to no truth or criticism - allegedly protectors of ourselves against ourselves - the hirelings of the pharmaceutical state. Meanwhile, the politicians prostrate themselves before revealed stupidity, and they do not really seem to be in charge of the game either.